How would you survive without a grocery store? 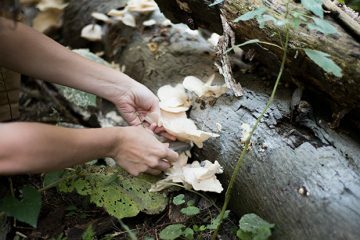 Chef Robin Kort will teach you how to find wild spring treasures; food like seaweeds, winter mushrooms, edible plants, and roots that you can find in our forests, meadows, and oceans. This workshop will cover everything you need to know to safely gather, prepare and cook unique flavours found only in nature. This is an identification walk only (no picking) and includes a sampling of wild edibles and an open discussion with wildcraft expert Robin Kort. 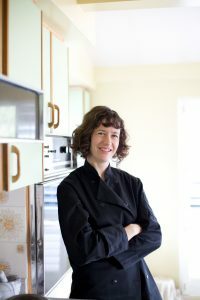 Chef Robin Kort is a professional wildcraft guide and owner of Swallow Tail Culinary Adventures. She’s worked alongside some of the cities best chefs from Hawksworth to Chef Andrea Carlson of Burdock & Co. She is a member of the Vancouver mycological society and has been running wild mushroom foraging trips and cooking classes for 6 years. Chef Robin has been interviewed for her food and wine expertise on the Food Network with Bob Blummer, CBC with Steven Quinn, Montecristo Magazine, Vancouver Magazine, the Huffington Post, Conde Nast Traveller and the Globe and Mail.